Make your Magento store lightening-fast by enabling full page caching and Java Script compression. Minimize server load, handle more customers simultaneously and watch your conversion rates go through the roof. Studies show that bounce and conversion rates are tightly linked to the store’s speed and performance. It’s a well-known problem that Magento takes a lot of time to generate even a simple page. The good news is - you no longer have to test your visitors’ patience. Now you can speed up your Magento store, thus increasing your conversion rate and lowering your bounce rate with Full Page Cache Magento Booster module. Because a Default Magento store is missing full page caching and Java Script compression, it takes a default store a really long time to load even a simple product page. Our extension fully caches pages without initializing Magento, providing your visitors with a quick copy that takes significantly less time to load. It also deflates the size Java Script on your site, which contributes to faster page rendering. As a result, you get lower server load, which means your server can handle more visitors simultaneously. Proved to be a highly effective performance optimization approach, browser caching is not available in Magento by default. 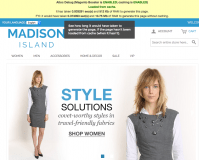 Using the extension, online retailers can enable full caching on their pages, allowing visitors to view static HTML files instead of loading the same page every time. This significantly reduces the time it takes for a server to handle all back-and-forth requests, resulting in a higher performance. Poor website performance will lead to nothing but low conversion rates. With the help of Full Page Cache, Magento store owners achieve a fast and steady website performance, addressing customers’ expectations regarding the user experience. This has a positive impact on their readiness to make a purchase, allowing you to turn more visitors into actual buyers. Add full page caching to your Magento store. Fully cache pages meant for unregistered users. Compress Java Script code on your site. Speed up page rendering 10-fold. Choose whether you want to cache dynamic blocks. Get the cache cleared when a new product is added. Get the cache cleared when a product goes from Disabled to Enabled. Get the cache cleared when the product status is changed to In Stock. when the CMS content is edited or deleted. Check whether the page is loaded from cache, if necessary. Use cache warm-up (based on URL Rewrites table). The extension works equally well for mobile, tablet or desktop users. Support for English, German, French, Spanish, Dutch and Italian languages! Temporarily block search engine bots during load peaks. Disable dynamic content during critical load peaks (choose either not to display dynamic content at all or to have it replaced with placeholder text). Redistribute server resources among different types of pages (Catalog, CMS, Search, Cart and Checkout, Other) by using usleep (). Limit server resources based on shoppers’ priority (guest or logged-in user, contents of the shopping cart). 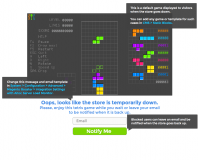 Offer your shoppers to play a game while they wait for the store to become available (Tetris is used by default, but you can add your own games via CMS). Allow users to leave their email and be notified when the store is up. Send out an e-mail notification (with an optional discount) to users who wish to be notified about the store being back up. Please note that caching is turned off by default for a specific user after they add an item to Cart. 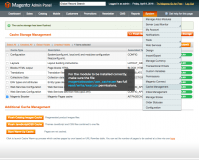 The extension doesn’t affect the way your Admin Panel functions. Magento Booster combined with Server Load Monitor and quality hosting allows you to reach the best Magento performance possible. 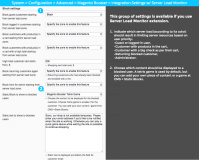 Multi-Location Inventory for Magento - Control all your inventory from a single dashboard. Magento Advanced Permissions extension - Improve access management at your store by restricting access to specific site areas. Abandoned Carts Alerts Pro plugin - Send automated reminders to make sure customers do not leave your store without a purchase. * Fixed the issue with form key cache. 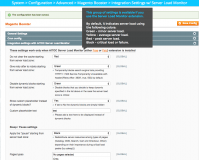 * Fixed incorrect Magento booster ACL title. 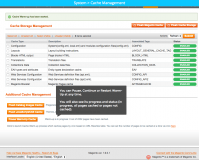 * Fixed an issue with enabling/disabling cache of extension when config cache is enabled. * Fixed the error when trying to delete cms page. * Minor text phrases tweaks. + New controls in Cache Warmup (Pause, Continue, Restart);. - a notification when the index.php file has not been replaced. * Fixed the issue with connecting to remote mysql. * Fixed an issue with the shipment creation from admin panel when Merge JS is enabled. + The extension is compatible with Magento 1.9.1.1. * A compatibility with Aitoc True AJAX Navigation Filter extension is fixed. * Fixed an issue with the SOAP API when Magento Booster cache is enabled. * Fixed cache cleaning issue when changing category name and home page. * Clear cache issue is fixed. * Issue with store views identification is fixed. * Incompatibility issue with custom themes is fixed. * Authorize problem is fixed. * Cookie domain issue is fixed. + The extension is compatible with Magento up to 1.9.0.1. * Issue with targeted clean of cache is fixed. * Multi-currency bug is fixed. 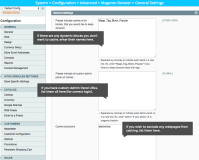 * Issue with the Mage_Page_Block_Html_Welcome block update while it in exception array is fixed. * Fixed the cookie issue that prevented customers from logging in. *Issue with "form_key" when adding to cart is fixed. *Issue with spinning placeholder for dynamic block is not appeared in Chrome is fixed. 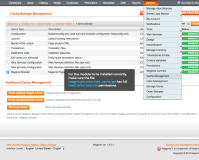 * Magento CE1.8 issues are fixed. * Cron frequency field validation issue is fixed. * Issue with cache flushing is fixed. * Debug is switched off by default. 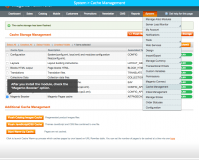 + Admin can add pages to caching exclusions in admin panel. * Fixed the issue with target page cache clearing. * Incorrect work when apache mod_expires is turned on is fixed. 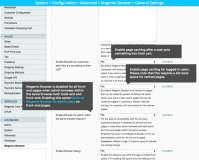 * Magento booster email template creation issue is fixed. * Issue with "Enable booster for logged-in users" setting and admin panel log in is fixed. * Issue with maintenance page is fixed. + Sends out an e-mail notification (with an optional discount) to users who wish to be notified when the store is back up. * Issue with Server response code "200 OK" for the "404 Not Found" page is fixed. - when CMS content is edited or deleted. * Problem with booster cache folders creating is fixed. * Compatibility with Cookie Restriction Mode setting is fixed. * Bug with incorrect data displaying after redirecting to SagePay is fixed. * Mechanism used to detect the mobile browsers is updated. * Bug with Persistent Shopping Cart is fixed. * Bug fixes for Magento 1.7.0.2. + Turning on cache for registered users and customers with items in their carts is now added. * Issue with PHP 5.3 + is fixed. * The symbolic links bug is fixed for 1.4+. * Installer and Full Page Cache conflict is fixed. + Works for visitors who use tablets and other mobile devices. 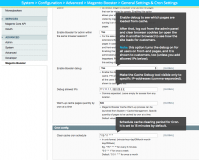 + New setting is added for admin: system->configuration->advanced->magento booster->cron config to change the Cron schedule which is set to */15 */1 * * * in the config.xml file by default. + Advanced Language Pack is added: - German - French - Spanish - Italian - Dutch. * https vs css merging. 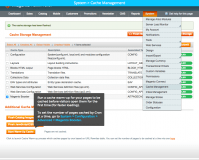 CMS page was edited or deleted in Admin Panel. + The extension is compatible with Magento 1.4.x. + The extension is compatible with Magento 1.4.0.x. Recommend to install this module to the store. It’s no secret that the search engine ranking position depends on page speed of the site. In our case, the pages speed has decreased by 2-3 times. Thanks, guys! Awesome extension and outstanding support team! This is one of the best developed extensions for magento. This extension has reduced our websites load time from 5-6 seconds to less than 2 sec. This is one of those extensions that if you are serious about improving your store, you should get it. Their support team is by far the best out there. We have been working with some other developers before, but nothing compared to Aitoc. Really outstanding! From 15 sec down to 1.6 sec ! Highly recommended extension ! Easy installation and what is most important works 110% Our store loads now in about 1.5 - 3 secs ! This extension has greatly improved the response time of my website. The response time has come down to 2 secs from 14 secs after installing this booster. The support was great as well. This is best performance tool. Tested mirasvit and amasty extensions but they didn't work on my server because of different reasons. This module worked perfectly! Thanks team for great work! The only FPC that works with loaded features I've kissed so many frogs in other FPC extensions. But I all end up either disable them or uninstall. This is the one actually works. It comes with the cache warmer. In my opinion, that's what makes FPC powerful. You have to pay extra from other extensions. Must have extension for Magento Users!!!! This is a must have for any Magento user. Magento is renown for very slow page load times. Magento Booster solves the dreaded lag time that is experienced by customers visiting your site that are trying to load pages. The support from the team is exceptional and they continue to adapt and improve this extension on a regular basis. Great job Aitoc!!! Installazione semplice e senza errori, ottime funzionalità, ha dato al sito notevole velocità nel cambio delle pagine, consiglio l'estensione. This booster was recommenced to me by a close friend. It's a complex extension that improves your google page grades from 7-10 points and also makes the website feel more responsive and less laggy. Before trying this extension, I tried a couple other's with no results. Our server has several advanced cache methods and this extension makes a difference (both on test results and user experience). Simply put, it does what it's suppose to do! This extension cut my sites loading time in about half. I had some technical issues with the extension conflicting with my multi-store setup, but the wonderful support team responded to my issues and solved them very quickly. Magento Booster is a great solution to speed up the website. Works well. AITOC support - Amazing! They helped us to configure, gave us suggestions to minor issues and answered many questions in a very professional way. They know what they are doing. We will be buying more extensions from AITOC. Highly recommended ! I purchased this extension and have Aitoc guys to install it. My site's speed improved drastically. I´m very happy with results. Great support. Quick Answers . Thank you Ivan . Thank you AITOC. AMAZING DIFFERENCE IN SPEED!!! This extension definitely increased the speed of our website. Had a lot of complaint from our customer about the speed of our website but after installed Magento Booster, we noticed a significant increase with our online ordering. Had a few minor issues initially but the support team were quick to respond and fix all issues. Great Extension!! Purchased this extension and had Aitoc install it, It has boosted my site to be more than twice as fast as before plus it just works great!!! Great boost!!! This extension works great, i purchased the extension including installation on a sunday, and it was up and running within 24 hrs. The website is remarkably faster, at least twice as fast if not faster!!! Rock Solid Extension! Superior Performance! Lightning Quick Support! My review title should say it all. I have this caching system installed for every ecommerce project my firm rolls out. The system speeds up our client sites by a minimum of 50% perf improvement. The boost to performance is incredible. We have a site which was performing poorly and were on the verge of rebuilding and moving hosting in an effort to boost the performance. Having had support and products from AITOC, I took a quick look at their products to see what could be done by a company we could trust. To be honest, if it just bought us some time I would have been happy. Our page load speed is something like 8 times faster and has made a world of difference to customer experience and sales. We are so pleased with the performance we will now recommend it to all our Magento customers. Well done AITOC and thanks for your support. Awesome extension! response time in all our sites improved below 2 sec. A MUST for every Magento Store. We can assure that this extension has increased our sales and customer satisfaction! Amazing extension. The speed of my site was way beyond my expectations after installing this extension. The response time has come down to 2 secs from 14 secs. I strongly recommed this extension for anyone looking for a solution for faster response time. Fantastic extension I've been using this extension to speed up the database intensive Magento software, and it has delivered superb results. I was looking for the best way to speed up my website performance, and this helped improve my site loading speed tremendously. Appreciate the extension AITOC. I just upgraded to Magento 1.8.1 community edition, and I'm looking forward to the latest update to improve my site speed even further. Great Magento Extension and Great Support. I really recommend this extension. Support ***** Good job guys ! Great extension! Easy to install, even on top of non default theme/skin. Works as expected and as explained, very fast. Very pleased. I tried many extensions, but of no use until I reached here and bought this. It just works great. My site was taking around 15 seconds to load but with this now it loads just under 2-3 seconds. This rocks. Now with new licensing system, it just rocks rocks rocks. I am very happy with this. My site had loading issues with so many categories and loads of images. It almost was taking 15 seconds to load but Magento Booster changed that and load time came down to 3-4 seconds. Initially, thought of configuring it myself and messed up, but support team was very good at configuring it and making it work. I recommend this for every one who needs speed for their magento site. Please do take support's advise on how to use this in conjunction with other freely available resources to make this extension do wonders. Fastest Speed Increase vs Time-to-Install This is by far the greatest speed improvement addon I have installed, in view of the to the time it took to install. It literally less than 30 minutes total to get up and going, and the speed increase was incredible! My only wish is that there was a better admin panel 'reset' function that allowed manually reseting specific pages (like a specific category page, product page, etc). Clearing the entire cache is easy - but then to recache everything you gotta walk through the website page by page. 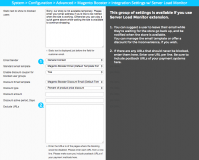 Overall this is a needed addon - IMHO - for every magento install! Great extension, excellent support. The extension really improves the speed of my shop (4000 skus). We have had some troubles with the installation, but the support has been very very professional and kind. Everything works perfectly now. We use many extensions from magento connect and we have to say that the average of support is good, but Aitoc is probably one of the best we have contacted. Really excellent. This extension works greate. after installing magento booster, my page load times went from 3-9 seconds to just over 1 second everytime. Best spped booster and trust me i have tried a few. Also, there support is AAA+++, best i have recieved yet. Incredible service and extension. Extension was installed with 2 hours after purchase and the difference in speed is amazing. I actually wasn't sure it would work, but with the money back guarantee, I thought it was worth a try. We went from a slow site to fast site! It's the 2nd extension bought from this company. What I can say: I installed it without any problems and it still works at my site. The support replied to all my requests very quickly and even customized extension for my needs. These guys know how to support their customers. Recommendation: Install any extensions to a staging host first and you won't break anything. If you are too busy to setup a test host for your site - don't be suprised that one day you will break something. "Boom Baby" - this ROCKS. 32X speed improvement!!! 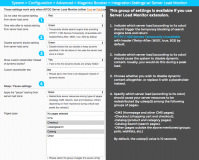 Running Magneto 1.7.0.2 for a new site. MUCH SLOWER than the previous versions. (I mean, painfully slow I was worried to show it to my marketing partners). We do have configurable associated products, which I understand really taxes 1.7. Anyway, 1/5 share of a huge server at nexcess, and we were still looking at 4 second page rendering responses prior to installing this. After installation - 113ms. So, what, that's a 32X improvement? This is a little more involved to install - be sure copy-over all the folders, not just the usual "app" "lib" and "skin". Be sure you enable the cache once installed. (Look at the User Guide. Also note, by default, caching is disabled when your browser is logged in to the Admin panel (so, don't test pages from the same browser when logged in - won't work.). I found turning on the de-bug feature helpful. Nothing short of 5 Stars in every aspect of our dealings with Aitoc. The extension itself works perfectly and speeds up our site like nothing else. Have tried other solutions but nothing even comes close to Magento Booster. Had minor issues when new version of Magento was released and Victor and the team released an updated version that works perfectly. The support from the guys (and gals) is outstanding. You have a customer for life, wont be shopping anywhere else. Very happy customer! i have brought this extension for my multi store. and working perfectly with excellent support from AITOC Team. Thank you AITOC Team. Great Magento Extension and Great Support. I really recommend this extension. Works fine and makes website "faster". I needed some support and the team was amazing. Good job guys ! What I love about this company is their great support, you will never lose your money buying extensions from this company, once I bought an extension and had some conflict with other 3rd part extension I have asked them to refund me back, they did right the way, they installed this extension on my site immediately after purchase I do recommend this extension for all magento shared hosting sites, and for all users facing problems of slow speed, this really will improve your site speed in unbelievable way. This extension is excellent and the support is superb! Great extension on performance (improving FTTB more than 80%), but miss compatibility with some magento extension like magebridge. Good extension 100% operation before magentobooster. So sad that the support don't play the game entirely to solve this problem : they consider that it was out of support and ask 90USD/hour to debug. This is by far the best value you'll find in a single extension! 24 hours from the time we purchased it (with installation services from Aitoc) our average load time on the homepage went from 3.5~7.5 seconds to 1~2.5 seconds. The difference is huge for a big site like ours!! Bounce rates immediately went down Try it out if you need a demonstration, our site is www.installerparts.com Thanks Aitoc, we sincerely appreciate the great value on this one! Allan Stevens InstallerParts, Inc.
Fine Module and excellent service. I recommend to everyone! this has to be, along with another extension (Shopping Cart Editor v2.0.3) I purchased from them, is the best one ever wish I found it years ago! it speed it up brilliantly! I was starting to doubt using magento after installing it for customers for years and having issues with speed and using free speed extensions and other tedious methods, but now, I am keener than ever! No support It is very easy to install, thanks guys... excellent. Installation only took a few minutes, and the instructions were very clear and easy to understand. The store now loads really fast compared to what it was doing before. We have a large game website, and there are many pictures that have to load in before everything is viewable, fortunately this extension does so quickly. As an example: Before this extension was used, when our customers went to our website you would see a blank white screen and than 10 seconds later you would see the store.. this led to a high bounce rate and lost sales. Once the extension was installed, our page now loads within a second ( no white screen ). I'm looking forward to see how customers respond to this change. The installation was easy and problem free and my site speed has increased, but not as much as I really expected it to. Support help from AITOC was good too though. Awesome extension! Well worth the money. Significantly increased the speed on my store. The installation was very easy.